Ok, i admit that i'm too carried away with the title but many local fans may have missed that one of our junior player - Danial Iskandar participated at the 1st HDBank Cup Chess Tournament 2011 in Vietnam early this year. The tournament saw top Vietnamese players like Le Quang Liem, Nguyen Ngoc Truong Son and Cao Sang plus strong GMs and other titles players from China and Philippines. Daniel is the only Malaysian player in the tournament. 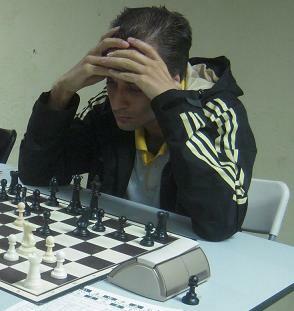 Playing against the top dogs, he finished last but he did gained a point by beating South African player -. Francois Wolfaardt (photo left). Some of you may know Francois, who is a frequent visitor in our local tourneys. 1. b3 Bird Opening ( correction - it actually called - Nimzowich-Larsen Attack - thanks to Jimmy Liew who noticed it) 1... b6 2. Bb2 Bb7 3. 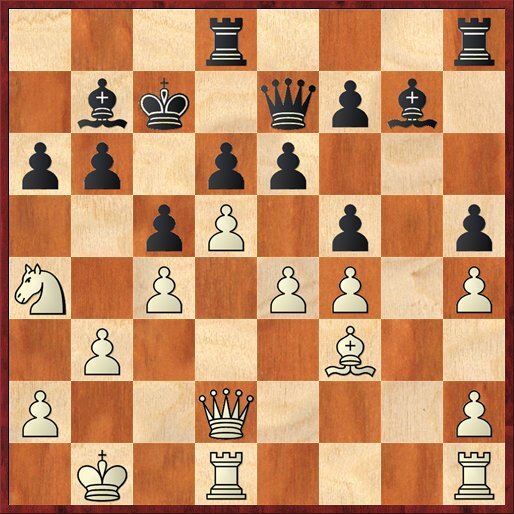 Nf3 Nf6 Black choose to copy white setup. A good idea if you didn' t familiar with a particular opening. Just play symmetrically because usually it would lead to an equal position. Of course you should not copy yours opponent move until the end! Black doesn't mind doubling his f-pawn because he got the bishop pairs. 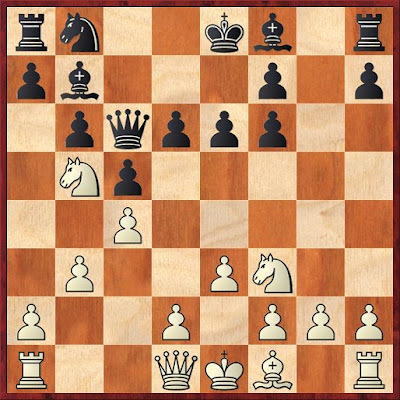 The open g -file is also good for black's rook. 11... Nd7 12. d5 Qc7 13. e4 Bg7 14. Qd2 O-O-O 15. Be2 Ne5 16. Nh4 ?! I didn't like this move. The knight is looks off side in the kingside. 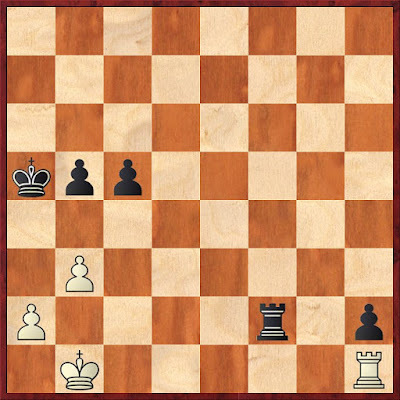 16...h5 17. f4 Nd7 Black doesn't have to move the knight at the moment because he can put pressure on white's queen by pinning white's f4 pawn with 17...Bh6. 18. O-O-O Nf8 I'm not sure about this plan. Black's knight is heading to Ng6 but actually black can save two tempo if he played it on move 17th. Having said that, i think black should not bother to exchange white's knight on h4 who is in offside position. 22... Nxh4 23. gxh4 f5! Black open the deadly diagonal a1-h8 for his bishop and queen. 32... Re7 32... Re2+ Is a better idea. Black should have not worry about giving the f7 pawn because his idea of dominating white's 7th rank with his rooks is more deadly. 33. Kb1 Rg8! 34. Rxf7+ Kc6 35. Rf6 Rd2 First black prevent white to double attack the d6 pawn with Rd1. After that he can double on 7th rank with Rgg2! 37... Kb6 38. 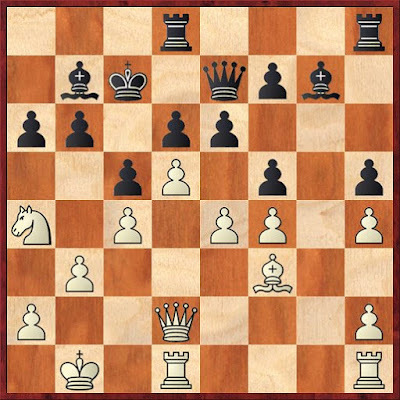 Rb7+ Ka5 39. f5 Re8 Black can trade one of his rook with 39... Rf8 40. Rbf7 Rxf7 41. Rxf7 bxc4 42. bxc4 Rxh4 With a clear winning advantage. 43... Rf4 Rook belong behind passed pawn! The end is near. 49. a3 Rg2 50. Rxh2 Rxh2 0-1 Nice game Daniel! Oh thanks Jimmy, i've check it, it actually called Nimzovich-Larsen Attack. Thanks again.